High blood pressure remedies can be divided into two types: pharmaceutical medications and natural blood pressure remedies. Diuretics are common remedies for high blood pressure. These medications make you urinate more, causing your body to get rid of excess sodium. Diuretics can also drain potassium content out of your body, so you may need to eat potassium-rich food to compensate for the loss. The medication can also spike your blood sugar levels, so take care if you happen to have diabetes. Angiotensin-converting enzyme (ACE) inhibitor is another medical blood pressure remedy. It works by expanding your blood vessels, allowing blood to flow more freely, and lessen the pressure on your heart. Aside from high blood pressure, the medication can also be prescribed for those who show symptoms of heart failure. 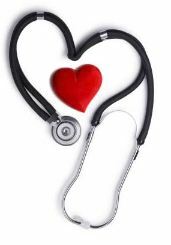 Beta blockers work by lowering your heart rate and cardiac output, causing blood pressure to lower. These are also prescribed for those who have cardiac arrhythmia or angina. Like diuretics, diabetics may need to take care when taking beta blockers, since these can hide some of the warning signs associated with low blood sugar levels. Angiotensin-2 receptor antagonists work similarly to ACE inhibitors, but have fewer side effects and have the added feature of helping protect your kidneys. Lastly, calcium channel blockers, also known as calcium antagonists, prevent calcium from making its way to your heart and blood vessels – a phenomenon that can cause circulatory complications. Aside from hypertension, the medication is also used to treat angina and arrhythmia. Before using any medications, make sure that you consult with your doctor to find out which high blood pressure remedy is safe and effective for you. For individuals who don’t want to or can’t use medications for hypertension, you can also find natural high blood pressure remedies that can work for you. The key point is to go through a lifestyle change in order to lessen your chances of contracting hypertension. The idea behind the natural method is that the reason we get high blood pressure is that we make poor choices in the way we live. This is why you need to make these modifications in order to have a healthier life. The biggest remedy for high blood pressure is to change what you eat. Food choices actually play a huge role in hypertension, and sodium-rich food can greatly increase your chances of contracting high blood pressure. The DASH diet (Dietary Approaches to Stop Hypertension) promotes a high-fiber, low-calorie eating plan that increases the amount of fruits and vegetables in your diet. It also lessens the amount of sodium-rich food that you take in. 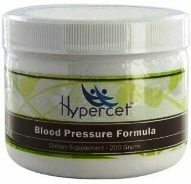 Combine that with a quality natural blood supplement, like Hypercet, and you stand to significantly lower your blood pressure levels. Learning how to relax can also help. Scientists have realized that the more stressed and anxious you are, the higher your blood pressure can be. Simple breathing exercises alone can already do wonders for your hypertension. 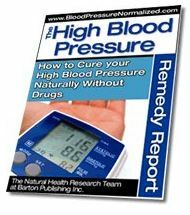 For the complete list of natural remedies for high blood pressure, I highly recommend the HBP remedy report. There are many ways to improve your circulatory system and your overall quality of life. Some of the high blood pressures remedies mentioned here are just a few of your options. If possible, start with the natural alternatives first, and work your way up to stronger medications until your blood pressure is normalized.